This past week my work was extremely stressful. I felt, as I often do these days, that my responsibilities far outstrip by capacities to meet them. I feel beholden to my colleagues, my students, my friends and family members. I worry. I pray, I meditate, I remind myself of all my blessings, and then I worry some more. Sleep can elude me and I come to the end of the day and the week physically and emotionally spent. While the nature of my work does not really end when the weekend begins, there is something about Friday that allows me to let down. However this week seemed extra special. 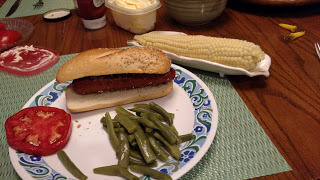 When I came home last night my wife had cooked a simple meal: hot dogs, fresh corn, and beans and tomatoes from a friend’s garden. Not elegant, simple – yet so refreshing and delightful. Then on Saturday morning as I often do, I got on my bike for a long ride along the Schuylkill River Trail and then off into the hills north and west of the river. In the beginning the air was clear and fresh, and lots of people were out walking, running, rollerblading and biking. 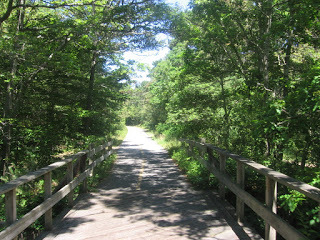 The sun was bright but not harsh, and when I happened to ride through a shaded area, it was cool and invigorating. As often happens when I take my morning rides, I felt sluggish at first and somewhat out-of-sorts, but after a few miles the endorphins kicked in and I felt alive and at times almost euphoric. At about mile 16 I was going up a long hill and though my legs had to work there was a rush at just being alive. At mile 28 I bent low and pumped my legs on a long straight stretch, and was aware of how fortunate I was to be strong and healthy enough to feel the rush that comes in such moments.When I finished after 32 miles, I felt tired but complete. Part of the stress of my week is normal work stuff, some is related to changes taking place in my job leading to feelings of uncertainty, and a lot of it comes from considering the state of the world: the violence, the cold-hearted hatred of some leaders, the desperation of migrants seeking refuge and rescue, the poor state of our educational systems especially for the poor, and wars all over the globe. I wonder, as did many a psalmist where God is in all of this, is there any reason for hope, is there any point in trying to change things, and no clear answer comes. So I need these moments of simple pleasure not to escape these other things, but to balance them out. Here in this vast landscape, swept by the winds and sea, I wonder if there is any person anywhere who can answer the questions that stir in the depths of your being. For even the best miss the mark when they use words for what is elusive and nearly unsayable. But nonetheless, I believe you are not left without a solution, if you turn to things like those that are refreshing my eyes. If you ally yourself with nature, with her sheer existence, with the small things that others overlook and that so suddenly can become huge and immeasurable; if you have this love for what is plain and try very simply, as one who serves, to win the confidence of what seems poor: then everything will become easier for you, more coherent, and somehow more reconciling, perhaps not in your conscious mind, but in your innermost awareness. Small things and simple pleasures are always available, if I simply take time to note them and then take them in. Thanks Drick. It is a good reminder to be aware of the world around us and to focus on those things God gives us that refresh us.